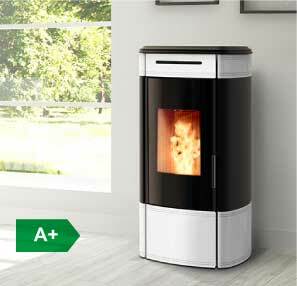 Wood pellet stoves with natural convection or forced ventilation, are the cleanest and most efficient stoves for heating your home. 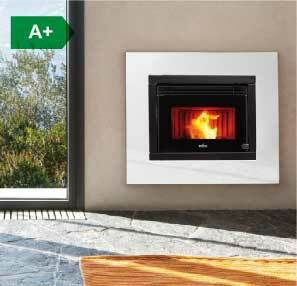 Natural Convection, enjoy the silence and comfort of convection and radiant heat. 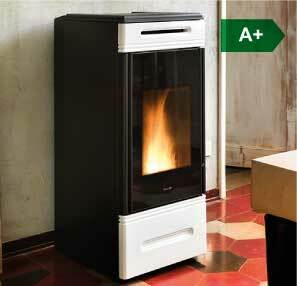 Ventilated Convection Stoves, combine the advantages of forced ventilation and natural convection with the option to switch off the fan: two methods of heating in a single product. 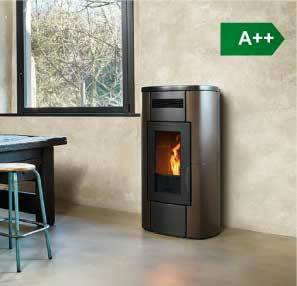 In our new models, this system is particularly pronounced. 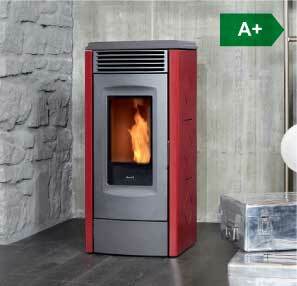 The body of the stove has been carefully designed to ensure maximum circulation of hot air. There is no need for a convection fan, usually found on standard wood pellet stoves, which generates noise and raises dust. 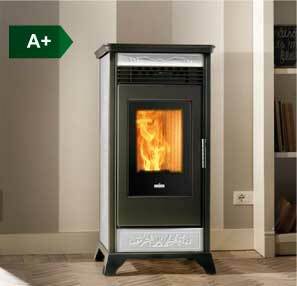 In addition, thanks Ravelli’s self-cleaning patented burner, the stove has a more natural flame which is hard to distinguish from a wood stove. Cleaning of the combustion chamber is reduced to a minimum, ash pan only needing empting after 100Kg of pellets burnt. 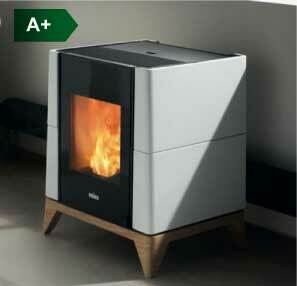 Ravelli Air, a range wood pellet stoves that gives you a wide choice to suit your style and taste. 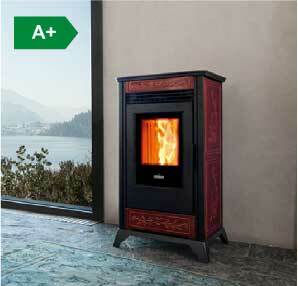 From the traditional look to something sleek and modern, the ventilated wood pellet stove will ensure your room is always warm at your desired time. 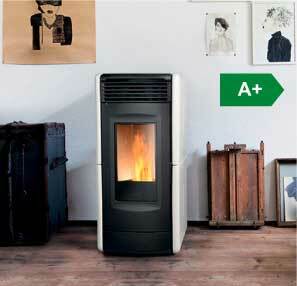 With automatic, electronically managed systems your Air stove will transform any room. 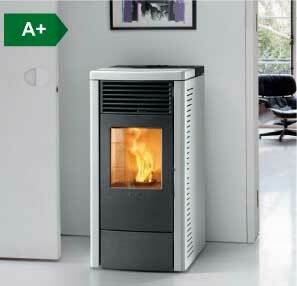 Ravelli ducted pellet stoves allow you to heat and control the temperature of multiple rooms, even on different floors. They are connected to insulated ducting pipes that transfer the heated air to room’s above or adjacent to the stove itself. 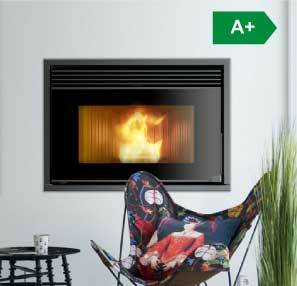 You can choose manual or automatic adjustment to manage the temperature and bring the desired heat to the different rooms at the required time. 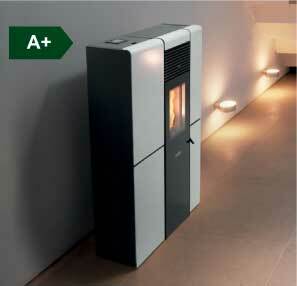 Ravelli pellet boiler stoves for heating your home and domestic hot water. 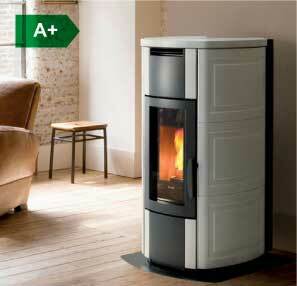 They can replace or be integrating with an existing gas or oil boiler. 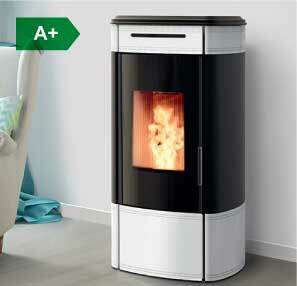 Pellet boiler stoves offer maximum comfort, thanks to reduced maintenance and cleaning with maximum performance guaranteed, up to 93% efficient. 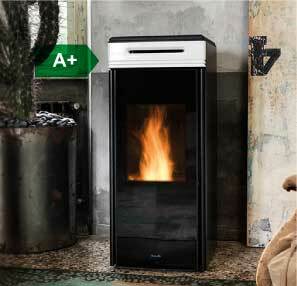 Insert wood pellet stoves from Ravelli are designed for you to enjoy and experience the style of a modern fireplace with superb energy efficiency. 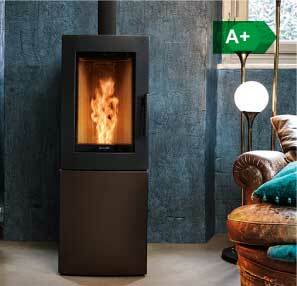 You’ll be mesmerised by the flames viewed through the wide glass door and with minimum heat loss up the chimney. 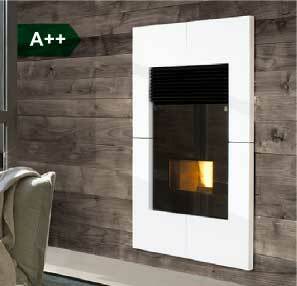 It’s a fireplace with functionality as well as good looks.